Chrysanthemum tea has a soft yellow color and a strong floral aroma. The tea is as popular in China as coffee is in the United States. Chrysanthemum tea has various health benefits for the body. It can also be used on a regular basis because it has few side effects, and it is safe for most individuals. Still, check with your physician before taking it if you have pre-existing health conditions, and do not take it as a treatment for any medical conditions without consulting your doctor first. 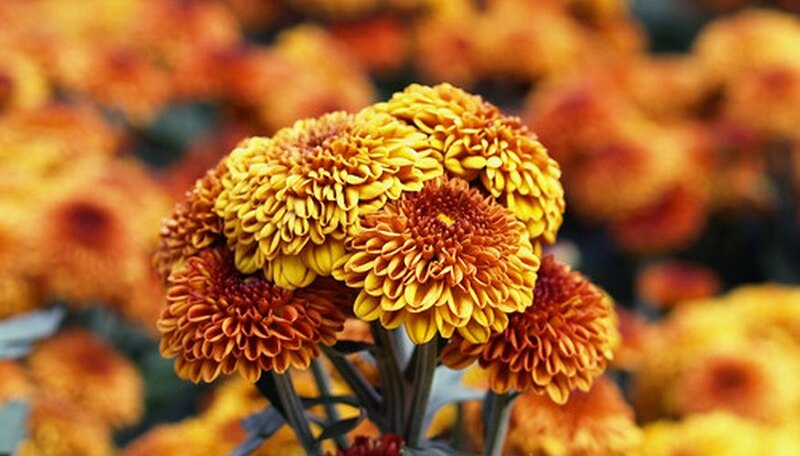 Chrysanthemum flowers are typically combined with tea leaves in China as a substitute for coffee. It is also one of the main ingredients in a cough remedy called Sang Ju Yin in China. The white variety of chrysanthemum tea is especially useful for its health benefits. The white tea variety is known as Hang Bi Ju in China. According to Iqimon.com, chrysanthemum flowers were brought to Japan in 400 AD by Buddhist monks. The emperor of Japan then added the flower to the imperial crest. The tea originated in China. The flowers had been cultivated for over 2,500 years in China. Originally, about 35 varieties of the flower existed during the Song Dynasty between 960-1279. Due to cultivation, over 3,000 varieties exist in China today. According to a study published in volume 32, issue 5 of Lebensmittel-Wissenschaft und Technologie journal, an extract of chrysanthemum flowers was shown to have strong antioxidant activity. All of the four varieties tested were effective as metal chelators, meaning that they helped to get rid of heavy metals that may be in the body. Chrysanthemum was also found to be effective in preventing damage done by free radicals. Chrysanthemum tea is used to balance the liver in Chinese medicine. The tea can also help headaches, alleviate a fever and remove toxins from the body. Chrysanthemum tea is anti-inflammatory, and can help to relieve inflammation in the body. The tea is both sedative and cooling, which makes it useful for flu symptoms. Chrysanthemum tea can also help tinnitus, acne, boils, sores, dizziness and alertness. It contains a high amount of vitamin C, beta-carotene, calcium, fiber, iron, magnesium, niacin, riboflavin and potassium. Chrysanthemum tea has few side effects. However, the tea can cause allergic reactions in some people who may be sensitive to the plant, according to Florahealth.com. People who often suffer from hay fevers may especially be sensitive to chrysanthemum tea. It's also important to wear gloves when harvesting fresh chrysanthemum. The fresh flowers and leaves can cause dermatitis and eczema when touched.